Alvin Zhu has performed Beethoven, Tchaikovsky, Prokofiev, Gershwin, and Rachmaninoff concertos with orchestras around the world, appearing at Alice Tully Hall, Steinway Hall, Sydney Opera House, Beijing Concert Hall, Palais du Congress, Heinz Hall, David Lawrence Convention Center, Paul and Morse Halls at Juilliard, Fletcher Hall and the Amphitheater in Chautauqua, Sprague Hall, and Joan and Irving Harris Hall. He has recorded for NPR’s From the Top as a featured Jack Kent Cooke Young Artist, Pittsburgh’s WQED radio, and Steinway’s Spirio player-piano catalog. In 2009, he was the first American pianist to be part of the Young Steinway Artists roster. He holds several prizes in international and national competitions. As juror, he was on the panel of the 2018 Franz Liszt International Youth Piano Competition (China Division) held in Changsha. Having conducted the Juilliard Lab Orchestra in 2014 under Jeffrey Milarsky, Zhu is guest conductor with the Pittsburgh Haihua Youth Orchestra. He has given master classes at the Open College-Conservatory, Liu Shikun Arts School, Li Delun Foundation, Steinway Gallery of Toronto, and Young Artists Program of the Steinway Society of Western Pennsylvania, and has been a teaching artist at Yale University School of Music. At Juilliard, Zhu is a teaching fellow for graduate music history and undergraduate music theory. 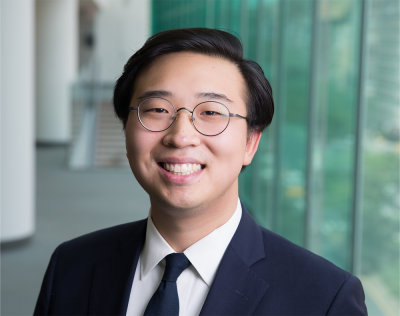 He is a recipient of a Fulbright Scholarship and has researched the musical contributions of his paternal grandfather Gong-Yi Zhu, a master piano pedagogue whose influence in China is still widely felt today. He has been a guest lecturer at the United States Embassy in Beijing, The Juilliard School, and Central Conservatory of Music in Beijing. Zhu started piano and violin lessons at age 4. Zhu holds an BM and MM from Juilliard and having been awarded a C.V. Starr Foundation Doctoral Fellowship there, returned to pursue a DMA in piano performance under the tutelage of Veda Kaplinsky and Julian Martin.